Siblings of Representative Paul Gosar, Republican of Arizona, have a message for residents in his district: vote him out. NEW YORK — It might seem like family dysfunction or a bad case of sibling rivalry. 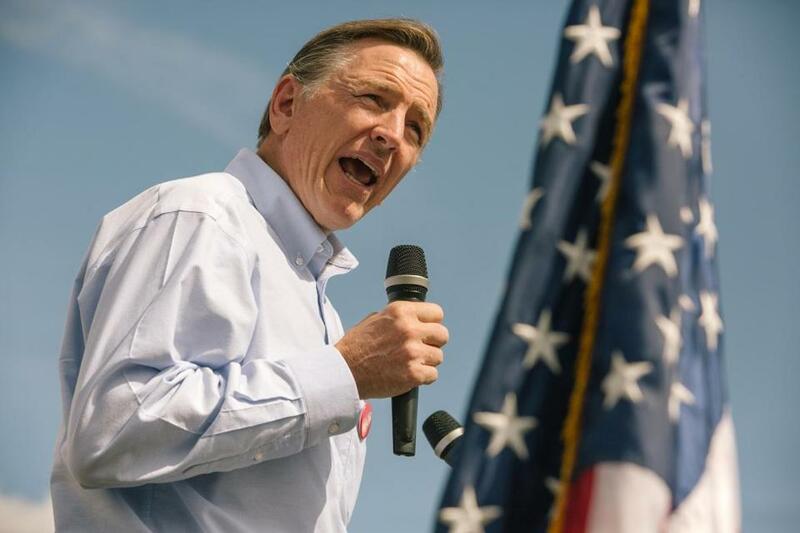 Six of nine brothers and sisters of Representative Paul Gosar, Republican of Arizona, publicly endorsed his Democratic opponent in the midterm elections in videos Friday, in what one of them said was nothing short of a moral imperative. The siblings were alarmed at what they saw as the congressman’s increasingly extremist views on immigration, health care and white supremacists, one of them, David Gosar, said Saturday. “I’m just hoping either in this election cycle or next, the people get the idea that he’s just not fit for that office and he needs to be removed,” he said. The Democratic candidate, Dr. David Brill, released the videos, drawing astonishment at the rare public display of a family fighting over political views (although it was not the first time this year) as well as jokes about what a Gosar Thanksgiving gathering might be like. The videos show the siblings attacking Paul Gosar on health care and Social Security, among other issues, and expressing disdain for him. Brill said there were more videos to come, although he wouldn’t specify how many. David Gosar, a lawyer in Wyoming, identifies as a progressive, although he said he is not a registered Democrat. Three of the siblings have donated to the Democratic candidate’s campaign, Brill said. “My siblings who chose to film ads against me are all liberal Democrats who hate President Trump,” he wrote. Gosar first won election in 2010, his first foray into politics, with the support of the Tea Party. “This is the Gosar siblings coming forward for the good of our country,” he said. The Brill campaign said the siblings were not paid. Seven brothers and sisters had previously written a letter to a local Arizona newspaper, the Kingman Daily Miner, condemning their brother’s suggestion in a Vice News interview in October that the white nationalist rally in Charlottesville, Va., was backed by George Soros, the billionaire who is a donor to liberal causes. Gosar previously suggested Soros was a Nazi collaborator during World War II. It wasn’t always that way. He said the 10 siblings were tight-knit growing up in a small town in Wyoming, playing sports or cards. “It was absolutely a blast,” he said. As the siblings moved to different parts of the country and started families of their own, they met less frequently but still talked on the phone, he added. Then Paul Gosar, the eldest sibling, started gearing up to run for Congress in 2010 and said that he believed, incorrectly, that President Obama was born outside the country. That was the last time the two of them spoke, David Gosar said. Attempts to reach the other Gosar siblings were unsuccessful Saturday. “I think my brother has traded a lot of the values we had at our kitchen table,” said Joan Gosar, a civil engineer. Another video is titled “Paul Gosar Is Not Working For You,” in which Grace Gosar says, “Paul Gosar the congressman isn’t doing anything to help rural America.” A third video criticizes Paul Gosar’s stance on health care. What impact the videos will have was unclear. The Cook Political Report rated the district as solidly Republican, and Gosar won the district in 2016 with more than 70 percent of the vote. David Gosar said he could see a world where he would be proud of a changed Paul Gosar. “I don’t expect anything like that from him,” he said.